Experience a paddle fest: fun around the world! Your average SUP paddle fest is all about learning, having fun, meeting other SUPers, and sharing all that infectious energy and passion in a fun, encouraging environment. And really, who doesn't love a festival? Each event can differ in the size and what they have to offer. You might participate in a stand up paddle board board demo, talk to SUP dealers at vendor booths and get the latest scoop on new equipment, attend a paddle board exchange, take a workshop on proper paddling technique, or indulge yourself with a little SUP or SUP gear shopping. Gotta have that drysuit, or what about those shades...the kind you need especially for stand up paddle boarding? A paddle fest is a great place to do in-depth research on boards and gear. You might have the opportunity to talk to a board designer or manufacturer and gain better understanding of the qualities of a board or paddle. SUPers love to share knowledge and expertise: you might just get a great tip from a fellow paddler—something you didn’t even know to ask. 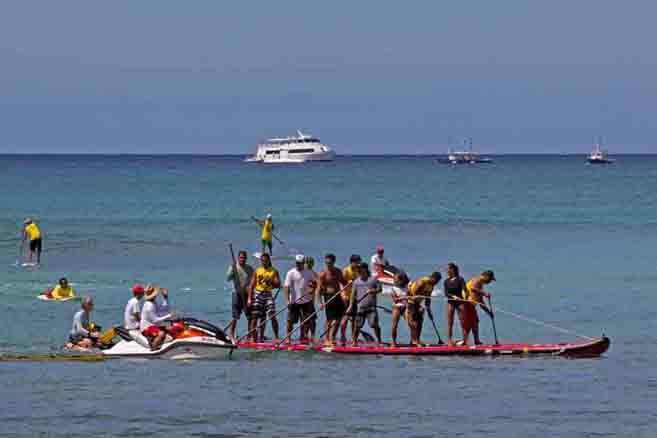 And festivals are rife with opportunity: you may try racing for the first time—If you have been aching to try it, organizers typically offer an open fun event; a perfect time to experience what SUP racing is all about. Some of these evens host fundraising races for a good cause, or goofy races just for fun. Below is a list to help you locate SUP festivals around the world. Currently, most are located in North America although the geographic range for SUP festivals is widening all the time.